City of Volcanoes Blog | Elaine R. Smid | Volcanologist. Erupting at you from the City of Volcanoes. Using a helicopter for fieldwork is definitely a special treat, but is a common tool used by many professional volcanologists to get to remote areas that need to be studied or mapped. While it may seem like a glamorous, adventurous life, this one day of sampling will result in months to years in the lab, describing and photographing the samples, preparing them into thin sections and various chemical analyses, and then long hours on a computer interpreting the resulting data and writing up the results. 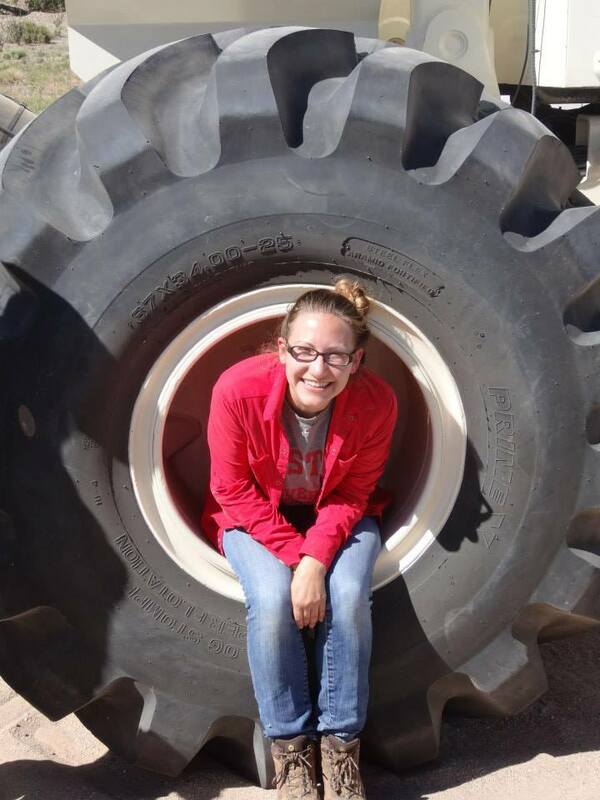 To be a scientist, you have to love all of it, though of course field days are special to many of us. What do you think? Would you like to be a volcanologist? A message to girls from rockin’ lady volcanologists: you’re smart too! This post takes a slightly different tack than previous, but focuses on another topic close to my heart. Recently, several female volcanologists in DEVORA, as well as many others around the world, shared messages to encourage young girls who may not think they are as smart as boys (the messages are in the link at the bottom of this post). Recent research suggests some girls feel this way starting around age 6! This is unacceptable. I was very lucky growing up. The fact that I was a girl never seemed to matter when it came to my future career or extracurricular activities. My dad used to take me on plumbing jobs with him and taught me which tools to use when and what they were called. He also taught me how to hunt, clean and shoot a gun, cast a fishing rod, gut a deer and rabbit, swing a bat, drive a backhoe and boat, catch and throw a baseball, and helped my sister and I construct a wooden playhouse and install a basketball hoop in our backyard. My mom listened to me, encouraged me, let me choose my own activities, and stayed up all hours to help me with my schoolwork or projects. They both constantly told me (and still tell me) how proud they are. In their own ways, my parents each communicated to me in words and in their actions that I could do the things I wanted to do, no matter how crazy or unrealistic or stereotypically ‘male’ they were. The other adults in my life followed suit. Me with my dad, 3 or 4 years old, after catching my first fish. Me being a girl never stopped him from teaching me everything he knew. As a result of awesome adults, it didn’t click with me that my gender mattered to the world in terms of my career choice until I was nearly grown up. When I was 6, I told everyone who asked that I wanted to be the first female President of the US, first because it was appalling to me that it hadn’t happened yet, and second because I could not see any barriers as to why I couldn’t be the first. It actually worried me that someone else might beat me to it! I remember getting a few laughs from adults, but they were also pretty impressed. While I eventually grew out of wanting to be a politician or lawyer, it wasn’t because I didn’t think I could be either–it was because I found something else I wanted to be more (environmental engineer, then environmental scientist, then geologist–all of which happen to be male-dominated fields!). I think the sort of faith and encouragement that was shown to me when I was young is what kids need to believe in themselves while they are still finding their place in the world. Because of my parents’ and other adults’ faith in me, I never learned to doubt that I could do whatever I set my mind to, and consequently I have never faltered in my belief in myself, or accepted that I couldn’t do something because of my gender. I’d love for girls today to have that same confidence, and that is what we are trying to instill with our messages and by stepping up and becoming visible in their worlds. In the blog post (link below), you’ll find profiles and messages from myself (Elaine), DEVORA co-leader Jan Lindsay, and DEVORA PhD Sophia Tsang, all from the University of Auckland. The post also links to several great resources for kids (particularly girls) who would like to explore geology as a career or learn more about what volcanologists or folks in the geosciences do. It was truly an honour to participate in this worthy mission! Articles in a previous edition of LAVA News (v. 27; Blake, 2015; Fitzgerald & Williams, 2015) focused on ash fall impacts on roads and volcanic ballistics in Japan. These research projects, among many, many others, are actually a part of a New Zealand-based, volcanic risk research programme known as the ‘DEVORA’ programme. Now that you’ve heard a little bit about our research, I thought it might be time to talk more about the research programme. What is DEVORA? DEVORA stands for DEtermining VOlcanic Risk in Auckland. It is a long-term, multi-agency, multi-disciplinary collaborative research programme aiming to improve the volcanic hazard outlook and risk assessment for Auckland, New Zealand. The project is co-led by Drs Graham Leonard (GNS Science) and Jan Lindsay (University of Auckland), with additional support and funding from the Earthquake Commission and Auckland Council. Figure 1. Map of the Auckland Volcanic Field and its deposits. Figure created and provided by Bruce Hayward. To describe it in practical terms: as many of you know, the city of Auckland (pop. 1.5 M) is built upon the Auckland Volcanic Field (AVF; Fig. 1), a dormant basaltic volcanic field containing ~53 volcanic centres (depending on how you count them, of course). Recent seismic tomography of the mantle in the area reveals a low-velocity zone located 70-90 km beneath Auckland, interpreted to be one of the partial melt mantle sources feeding the AVF (Fig. 2; Horspool et al., 2006). As the last eruption in the field occurred roughly 550 years ago and ash fall from eruptions from Central North Island volcanoes has frequently affected Auckland in the past (e.g. Ruapehu 1996), it is clear that we need to prepare the city (and country) for future volcanic events, both local and distal. This is the overarching goal of the DEVORA programme. Figure 2. A low-velocity zone (green oval at ~80 km depth directly underneath the MKAZ station) was detected in the mantle underneath the Auckland Volcanic Field. The low velocity zone was interpreted to be a region of partial melt. Figure from Horspool et al. (2006). Triangles represent the location of data stations for this study, while black bars represent the location of volcanic fields (AVF = Auckland Volcanic Field). How do we do this? Research in the initial project phase was divided into three main themes: Geology, Probabilistic Hazard, and Risk and Social Impacts. The first step involved collating findings from decades of piecemeal and ad-hoc research on the AVF, identifying research gaps, and formulating a 7-year work plan designed not only to fill those gaps, but to deliver a tool useful for risk managers (particularly Auckland Council’s Civil Defence and Emergency Management) in the event of a volcanic eruption. That tool is called RiskScape. Riskscape was originally developed and used by GNS Science and NIWA (National Institute of Water and Atmospheric Research) to examine the impacts and economic effects of natural hazard events in New Zealand. Although its original focus was estimating damage from flooding and earthquake hazards, it was decided that the platform should be expanded and overhauled to include volcanic hazards. DEVORA is a major contributor to and driver for that expansion. Where are we now? The first seven years of the project concluded in June 2015. Due to the success of the project and the work still remaining, research continues through a new phase which we are calling ‘DEVORA 2020’ or ‘DEVORA 2.0’. While geological and hazard research, eruption scenario development, and RiskScape improvements will continue, many of the desired outcomes from DEVORA 2020 revolve around translating research findings into usable formats that can inform public policy, be used to formulate risk mitigation strategies, and help communicate important hazard and risk information to the public. Essentially, we want to bridge the gap between scientific findings and the practical application of that knowledge. Work in this arena has been ongoing throughout the project; DEVORA works closely with Auckland Council Civil Defence and Emergency Management as well as lifelines organisations to keep them current on research findings and to nurture the critical relationships needed during a crisis. Through DEVORA, New Zealand scientists and their collaborators from all over the world have produced over 200 publications (130 of which are journal articles) to date, with 225 presentations at local and international conferences. DEVORA has gained significant recognition as a successful programme within New Zealand as well as internationally. For example, in 2015, volcanic risk was included in the UNISDR’s Global Assessment of Risk report for the first time. DEVORA researchers wrote several of the case studies included in the technical reports supporting the main document, one of which focused on DEVORA itself (See: http://www.preventionweb.net/english/hyogo/gar/2015/en/bgdocs/GVM,%202014a.pdf). The planned release date for RiskScape 1.0 is October 2016 [Author note: the current release date is now planned for sometime in 2017]. Currently, all building asset information for Auckland has been placed into the database. Lifelines (electrical lines, roads, telecommunications routes, wastewater mains, etc.) and critical infrastructure (hospitals, police, refuge centres, etc.) are in the process of being added. Eight eruption scenarios to run in RiskScape 1.0 are also being developed. When this is all complete, we will be able to directly compare the loss from different sizes and styles of volcanic eruptions in Auckland to one another, and to those created by other natural hazards (e.g. tsunami, flood, earthquake), for the first time ever. Want to know more? We encourage all those interested in monogenetic(!) small-volume volcanism, volcanic hazards, and/or volcanic risk and impacts assessment to check out our website and ‘like’ us on Facebook to keep up with our latest research findings and events. Blake, D. (2015). Ash impacts on roads: Lessons from Kagoshima, Japan. LAVA News, 27, 7. Fitzgerald, R. & Williams, G. (2015). University of Canterbury and GNS Science ballistics impacts study trip to Japan. LAVA News, 27, 8. Horspool, N. A., Savage, M. K., & Bannister, S. (2006). Implications for intraplate volcanism and back-arc deformation in northwestern New Zealand, from joint inversion of receiver functions and surface waves. Geophysical Journal International, 166(3), 1466-1483. Gasses bubbling up in the Auckland Volcanic Field? Gasses bubbling up in Auckland waters prior to an eruption–this isn’t an unlikely scenario. 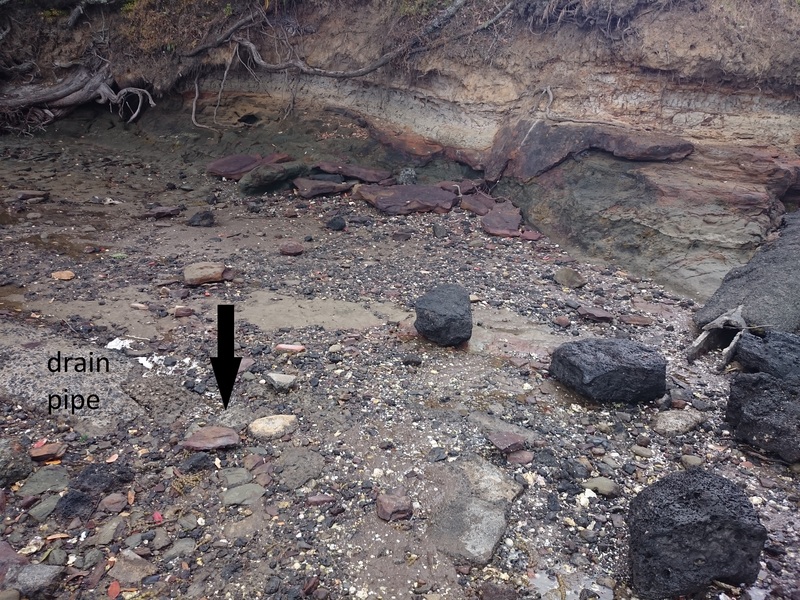 Thanks to a high (and rising) sea level, over a third (35%*) of the Auckland Volcanic Field is under shallow water. A lot of gas (typically CO2, H2O, H2S, SO4, HCl, and HF) is dissolved in magma–just like CO2 is dissolved in Coke. As magma rises from deep in the Earth–or we open the cap of a Coke bottle, the pressure decreases, and gasses can escape more easily. In an eruption, we would expect some of the volcanic gasses to reach the surface before the magma does. This means that we can use gas emissions in Auckland as a monitoring tool during eruption crises. It’s important to note that no volcanic gasses have been found in Auckland–yet. Thanks to a previous survey of soil gas, we know what a ‘normal’ gas reading in Auckland looks like. We can use these previous survey results as a comparison during eruption crises and when we notice something unusual. And people have found unusual activity in Auckland. Just recently, some kayakers reported constant bubbling in Tamaki River from one spot. They wanted to know: is it volcanic? To figure out what the gas is, we (at the University of Auckland) use gas meters. They tell us what gas we are measuring, and how much of it there is. We mainly look for an abnormal amount of CO2, as this gas is one of the first to escape from rising magma. There is also usually more of it in magma than the other gasses, so it is more likely to be detected. If we do find CO2 levels above normal concentrations, or it is venting in an unusual way, we collect samples of the carbon dioxide in special bags and figure out if it is the type that is found in magma (volcanic CO2 has a special signature). 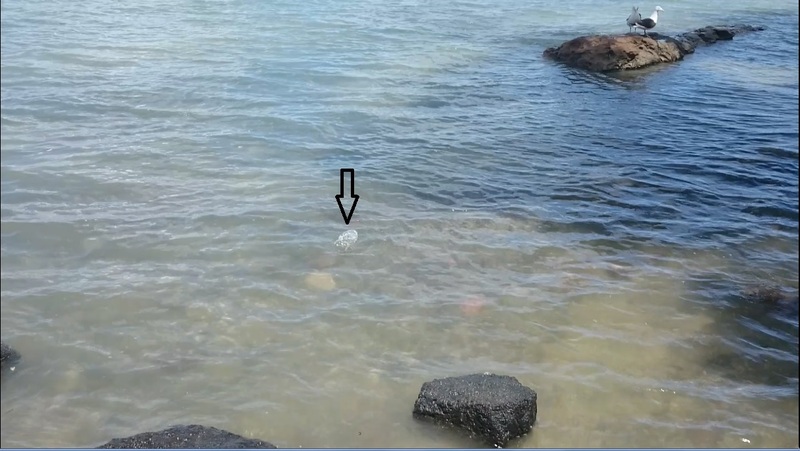 In this case, we didn’t find anything unusual in the air bubbling up through the water, so no samples were taken. We also went looking for other reasons that gas may bubble up as bubbling doesn’t always come from volcanic activity. 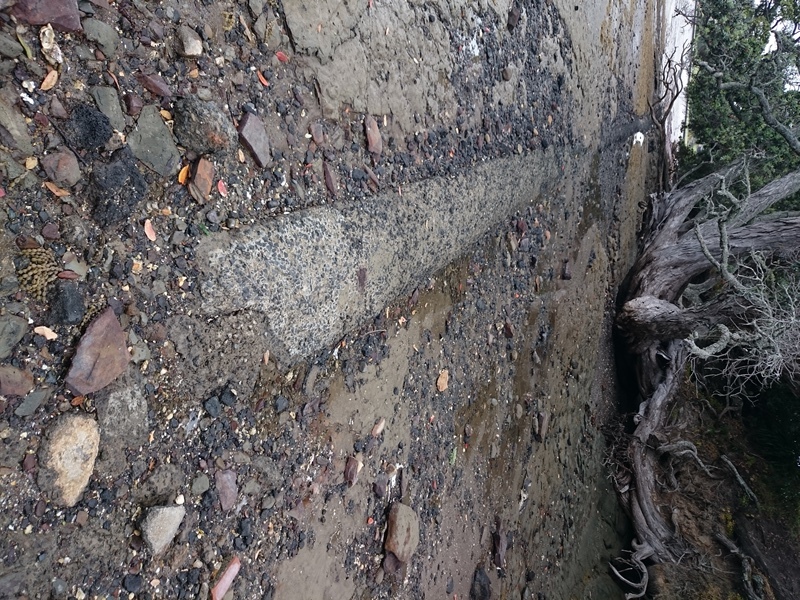 A quick search of the Auckland Council GIS Viewer reveals that this is an abandoned pipe. It is likely venting during high tide for some reason. The simplest answer is often the right one. The matter was reported to the Auckland Council and the case is considered solved. Whew. We can rest easy for now–there are still no volcanic gasses rising in Auckland. Happy holidays, everyone! *Agustín-Flores, J., Németh, K., Cronin, S. J., Lindsay, J. M., & Kereszturi, G. (2015). Construction of the North Head (Maungauika) tuff cone: a product of Surtseyan volcanism, rare in the Auckland Volcanic Field, New Zealand. Bulletin of Volcanology, 77(2), 1-17. Today, I warmly welcome another guest post from Daniel Blake, Doctoral researcher at the University of Canterbury. Daniel had the opportunity to visit Kagoshima City in Japan recently and learn about how the city residents and authorities deal with the frequent volcanic ashfall from one of my favourite volcanoes: Sakurajima. His PhD focuses on the impact of ash on roads and vehicles – the main focus of this post is on that topic, following discussions he had with Kagoshima City Office staff and road cleaning contractors, and observations from the field. Kagoshima is one of the most southern cities in Japan, with a population of over 680,000 people, around half the number who live in Auckland City. Just 4 km across the harbour lays Sakurajima, an active conical volcano, which dominates the skyline to the east of the city… at least on a clear day! A small eruption at Sakurajima Volcano into the cloud (taken from Kagoshima City on 09 June 2015). To help put things into perspective, Sakurajima Volcano covers about three times the area of Rangitoto Island and is about four times its height. Although there are differences between the processes that formed Sakurajima and the volcanoes in the Auckland Volcanic Field, we can learn a lot from how Kagoshima City residents, council staff and contractors manage and live with volcanic ash. The most recent activity started in 1955, and at the time of my visit (early June 2015), there had been over 630 eruptions since January! They suggested that just 1 mm of volcanic ash deposits are enough to make road surfaces slippery. It was also implied that ash of more recent eruptions (from the Showa crater of Sakurajima) appears to be less slippery than that of older eruptions (from the Minami-daki crater), probably due to the smaller particle size associated with these recent eruptions. … Bingo! Both of these findings aligned perfectly with recent road surface traction testing I was conducting in the lab back at the University of Canterbury so I was very happy to hear them! Interestingly, the officials said that it was very difficult to drive when ash depths exceeded 1-2 cm and that most roads would be closed to vehicles for any depths greater than 2 cm. These depths were slightly less than I had expected after studying research from other eruptions. There is often an increase in accident rate during ashfall, particularly on roads around Sakurajima volcano itself, perhaps because the ash particles are coarser nearer to the volcano and the road surfaces become more slippery, but perhaps because the roads are windier too. Another impact that drivers in the city often face is the reduction in visibility from ash particles suspended in the air, sometimes to just 20 meters or so. Apparently, low visibility can be worse during ash that has remobilised from the ground (when vehicles drive over ash and stir it up) than from the initial ash fall from the eruption. Although lower speed limits are not implemented in ashy conditions, drivers usually slow down as a precaution and turn on their headlights. 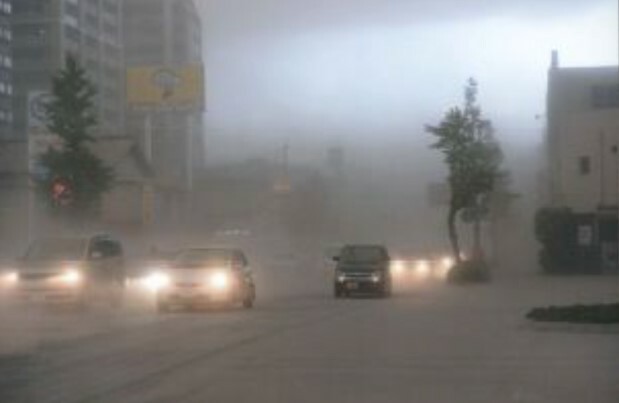 Vehicles driving in low visibility caused by volcanic ash in Kagoshima City (photo courtesy of Kagoshima City Office). The importance of road markings should not be underestimated! This was highlighted as one of the important issues in the city as only small amounts of ash falling on roads is enough to cause markings to be hidden. When road markings are obscured, it becomes more difficult to drive, especially to stay in the correct place on the road or to see pedestrian crossings. This has the effect of reducing road safety. 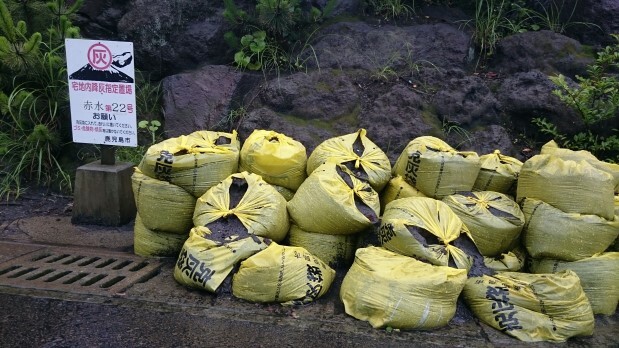 Additionally, the officials at Kagoshima City Office also use the coverage of road markings as a prompt to start cleaning up volcanic ash from the roads. 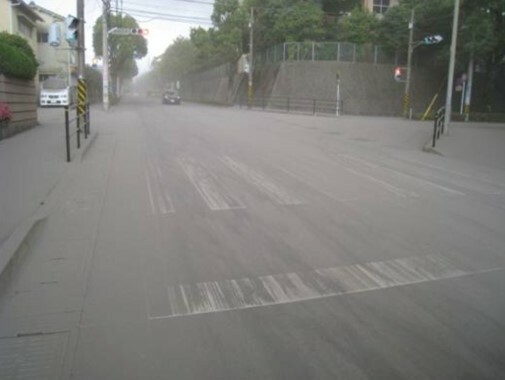 Road markings become hidden by very small amounts of ash, making it difficult to drive and reducing road safety (photo courtesy of Kagoshima City Office). One of the main goals is to clean most of the ash from all roads within 3 days of any eruption. This requires extensive planning and 97 ash road sweepers can be quickly mobilised across the Kagoshima and Sakurajima area. However, this is often not enough sweepers to cope with larger eruptions when some need to be sourced from other areas in Japan. During an eruption, the staff at the City Office monitor CCTV cameras and other information from the press, TV and social media to determine when and where to send field officers and to determine which parts of the city need to be cleaned. The city is divided into 92 blocks for cleaning purposes and different contractors may be responsible for cleaning different blocks. Specially adapted road sweepers are used for the clean-up which are capable of clearing ash up to 2 cm thick. They have greater suction and the brushes rotate faster than typical road sweepers. A rubber flexible barrier attached to the front in the centre prevents ash blowing up and away from the vehicle. 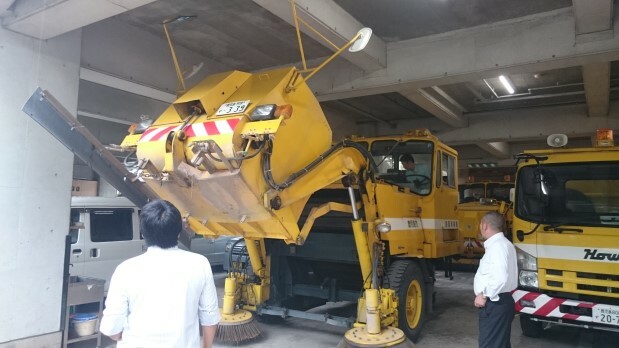 Specially adapted road sweeper in a Kagoshima City contractor depot. The specially adapted road sweepers also have extra water spray pipes fitted. Indeed, huge amounts of water are used during cleaning as a sprinkler vehicle also follows each road sweeper to wash a lot of the remaining ash away (a little always remains though). Each of these vehicles alone may use up to 6.5 tonnes of water in just one hour! The Kagoshima City Office calculated that 1,274 cubic meters of ash was cleared from the city roads in 2014, and 2014 wasn’t an especially busy year! Ash doesn’t just accumulate on the city’s roads… it gets everywhere… on roofs, vehicles, in gardens and even within houses. In fact around 8,200 cubic meters of ash was removed from residential areas by Kagoshima City Office contractors in 2014. It is collected from over 6,500 designated ash collection sites across the city, each marked with a sign to show that residents can leave bags of ash there for collection. One of the 6,500 or so ash collection sites across Kagoshima City and on Sakurajima. Kagoshima City is certainly well set-up to manage ash fall and has heaps of experience. Imagine the challenges that we could encounter in Auckland, especially when driving and having to remove ash from our city’s roads and residential areas! [Editor’s Note: Today we hear from one of our most experienced DEVORA interns, Maneesha Sakamuri. We occasionally take on students as unpaid interns at DEVORA in exchange for providing research experience and mentorship. Thus far, the training and experience received has led to paid work opportunities and postgraduate projects and support. If you are a geology student at the University of Auckland interested in getting some practical experience, please inquire at env-devora at auckland dot ac dot nz. Even if an internship position is not available, there is always room for more excited volunteers in our DEVORA Outreach Group. Check out some of our previous events around Auckland. This is Maneesha, DEVORA intern extraordinaire. She is a 3rd year undergraduate student at the School of Environment at the University of Auckland. When she isn’t interning, getting an award for her Girl Guiding, comfortingly offering to get me mugs of tea, or acing her exams, you can find her perfecting her Taylor Swift dance moves. I’d like to tell you the story about how I came to work with DEVORA and what I do as a DEVORA intern. One day last year while hanging out with a friend, she told me about how she volunteered as an intern for the DEVORA (Determining Volcanic Risk in Auckland) project. Auckland is a geologically active place and is situated on top of an active volcanic field. This puts its 1.5 million residents at risk if an eruption was to occur. DEVORA allows researchers of multiple disciplines to come together with their findings and effectively find solutions to mitigate the volcanic risk. My friend Moira (Fig 1) told me that the work she did with DEVORA had given her a deeper knowledge and skills in the geological field. Since Moira was heading back to America after her study abroad was over, and because I was interested in the work DEVORA was doing, she arranged for me to meet her supervisor, Elaine Smid, to see if I could also volunteer. As soon as I met Elaine she was so kind, welcoming, and knowledgeable. [Editor’s note: I do not in any way pay or encourage her to say these things, though of course they are 100% accurate and now I think I may owe her some chocolate.] She gave me a general outline of what DEVORA does and asked me to write up the reasons why I was interested in volunteering. From there I went and researched the project. Over the next couple of days I applied to volunteer and obtain new skills as a geologist as well as a researcher. After a couple of weeks Elaine got back to me to confirm my position. This was the most joyous moment of my semester 1 exams season in 2014. I officially started at DEVORA on the 2nd of July. After Elaine gave me an overview presentation, I truly began to understand what DEVORA does. The presentation described DEVORA’s three research themes: geological, hazard, and risk and social. These are combined to figure out what the volcanic risk is to Auckland. Research findings are used by DEVORA partners to make policies and emergency plans if an eruption was to occur–which is extremely important to save lives and because keeping Auckland running is vital for the NZ economy. My first few tasks were to help improve and edit the DEVORA website, making Field Note templates, and to help compile the year-end quarterly report. 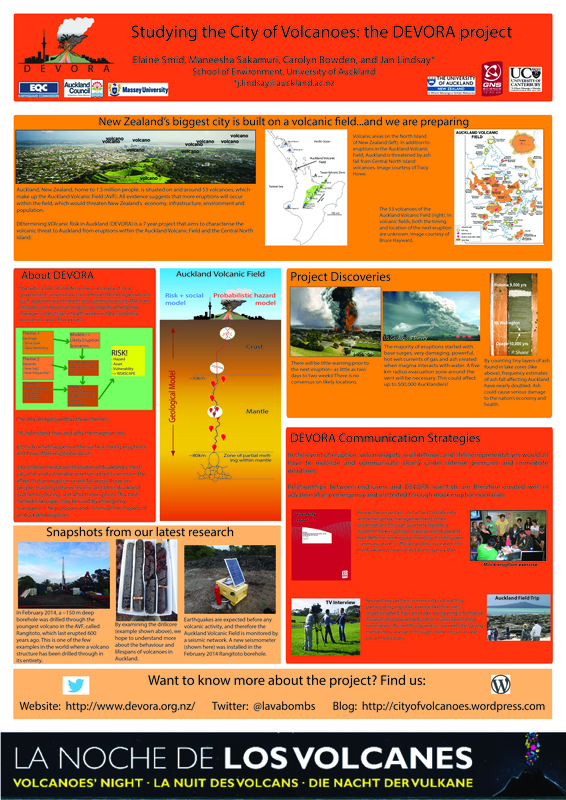 I was invited to shadow senior researchers, who go to schools to teach children about the Auckland volcanoes. Researchers talk about how volcanoes erupt and run experiments with them and teach them about the geological processes at work. Over 60 researchers from different organisations are involved in DEVORA. In order to help them keep up to date with the literature, I add newly published research on topics related to monogenetic volcanism into our EndNote database. Every month to six weeks or so the DEVORA team collects seismic data from the Rangitoto seismometer to see if there were any earthquakes (Fig 2). This is done regularly because earthquakes are precursors of volcanic activity and can be used to image and learn more about Auckland’s subsurface. I have participated in collecting data as many times as I can over the past last year. 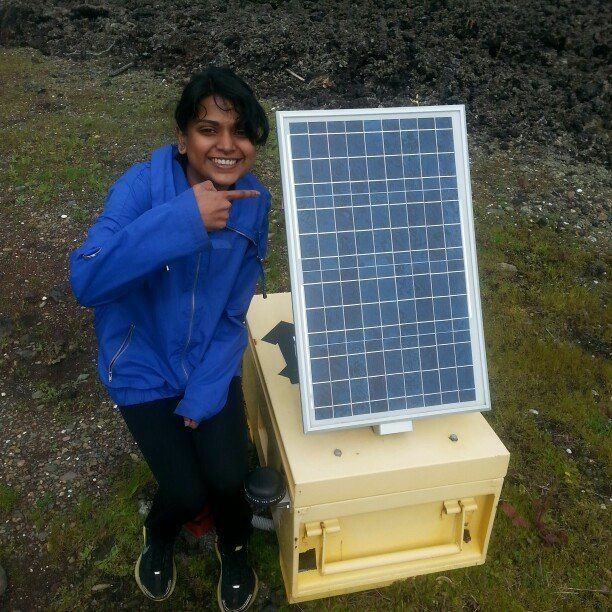 Figure 2 Maneesha at the Rangitoto seismic station. Last September I was given the opportunity to contribute a poster for a public outreach event focused on volcanoes in Spain (Fig 3). This meant learning how to use Adobe Illustrator to update a poster to show what the project recently achieved. Understanding how information is presented is a very important skill for my future career. Figure 3 2014 Poster for La Noche De Los Volcanes, 2014. I also helped organise the annual DEVORA research forum. The DEVORA forum is a time the scientists show the research that has been completed over the past year in the geology, hazards, and risk themes of the project. The research projects vary from geophysics, structural geology, geochemistry to modelling these aspects and impact on humans and infrastructure, all of which help inform stakeholders like Auckland Civil Defence, insurance companies, and Auckland Airport. Various partners of DEVORA attend and learn, ask questions, help set priorities for future areas of study, and identify the gaps in the research. We estimated it would be a long, hard afternoon to collect all the samples we’d need. Thanks to the large group of hard workers involved, it ended up only taking 30 mins! Hence we had enough time to play tour guide to Eloise and explore to learn a bit more about Auckland’s volcanoes. The first stop was the fossil forest at Takapuna. Pupuke lava flowed down through a forest, cooling around tree trunks, which then burned away, leaving a hole. 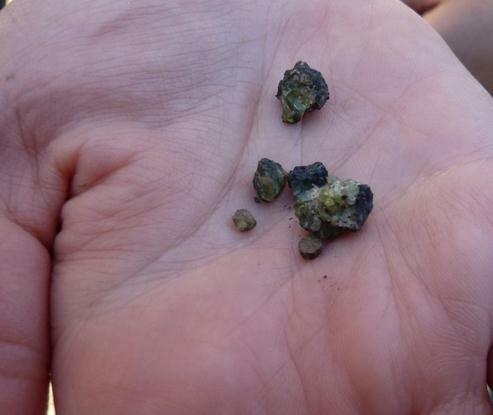 It is also interesting as its deposits contain large olivine grains. These could be from the crust underneath Auckland, brought up after being mined by the magma, or picked up from the mantle and carried to the surface (Fig 4). We also visited Mt Eden and saw the large crater at the top, all of the nearby volcanic hills in Auckland, and its volcanic features such as lava flows. Figure 4 Olivines from Lake Pupuke. I’ve done a ton more tasks, too: I have gotten experience preparing rock samples for various geochemical analyses like XRF. I have also helped sampled volcanic deposits and picked olivines out of those deposits for a PhD project. Every day is a little bit different. My involvement with DEVORA even directly led to paid work for another lecturer at Auckland Uni. DEVORA has given me so much in the past year and I am so grateful to have this opportunity. I learn more and more geological skills that will aid in real life with every task! 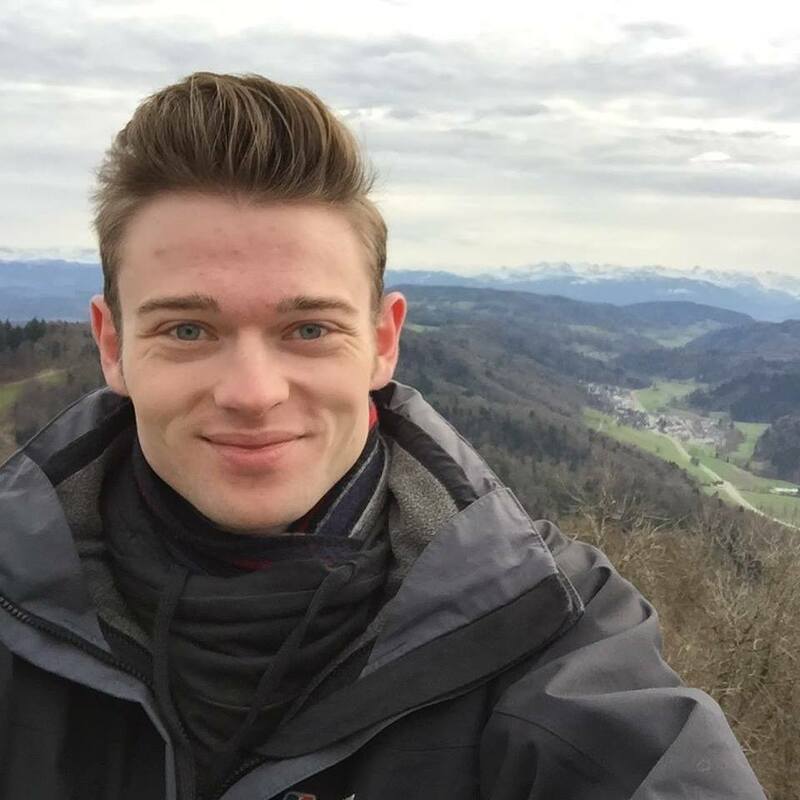 [Editor’s note: Today, I’m happy to welcome guest posters Alistair Davies and Daniel Blake, Doctoral Researchers at the University of Canterbury. This is Ali. He is just starting his PhD in hazard resilience at the University of Canterbury. You can follow him and his adventures on his Tumblr, on Twitter, and a bunch of other social media–he’s everywhere! And this is Daniel. He is a year+ into his PhD project on how volcanic hazards impact road transportation–very important when evacuating a place like Auckland! You can find him on LinkedIn. This week, I am helping Dan out with some volcanic ash testing for his PhD, which meant I got to be inducted into the University of Canterbury’s Volcanic Ash Testing Laboratory (VATLab)! There are whispers that once the new (post-earthquake) science building is built, a new VATLab is going to be built right in the centre, with much better facilities and a small crane for lifting heavy equipment. For the moment, though, the VATLab is little more than a fenced-off area in the basement of the Geology department, with barely enough headroom to stand up straight…! All the same, some pretty exciting research is taking place! 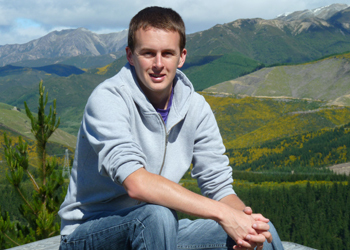 For his PhD, which is supported by the Earthquake Commission (EQC) and DEVORA, Dan is investigating the effect volcanic ash has on surface transportation networks. How ash changes the grip on the road has obvious implications for road transport during eruptions. Dan is using a Portable “Skid Resistance” Tester, which is a weighted pendulum arm with a bit of tyre rubber on the end. A piece of asphalt is placed beneath the tester and the arm is set up so, when released, the rubber makes contact with a specific distance of bare asphalt. The value the arm swings to after passing over the asphalt is recorded, and can be equated to a certain friction value. The real fun starts when ash is added to the road: Dan is testing lots of different thicknesses of ash, as well as different ash types, grain sizes, chemical content and wetness, so I am helping him get though the bulk of this testing. Using the Portable “Skid Resistance” Tester with 7mm of ash on asphalt. Dan also has two more experiments planned; one to investigate visibility through volcanic ash in the air, and the other to study how easily air filters in car engines become blocked by ash. The results of all of the VATLab tests will be used for transport modelling based on Auckland’s road network. This will allow us to better predict what it will be like to travel in Auckland during or after the next eruption in the volcanic field or through volcanic ash from elsewhere such as Taranaki or Ruapehu… interesting work given that we may have to live with the ash for days, months, or even years! His work will also allow road authorities and emergency managers to improve existing plans and issue appropriate advice to motorists who may encounter volcanic ash. While I was down doing my testing for Dan, Eliana, a third-year Frontiers Abroad student from America was also there doing tests for her project in the VATLab. Eliana is investigating how different ash depths look when they are photographed or observed. This is really interesting research, as it could allow photographs post-eruption to be turned into data telling us how much ash has been erupted by a volcano. In order to do this, Eliana is setting up everyday objects and then dropping ash onto them until the amount measured on the floor reaches the desired depth: for example, 1mm. Safe to say, with both tests going on at the same time, things got pretty dusty down there, so I was very glad of my face mask and goggles! Eliana dropping ash on to some plant leaves. Eliana’s project also seems to be highlighting that even people experienced in seeing volcanic ash tend to estimate depths of erupted ash as too deep: I was certainly way off the mark! Both are really exciting projects, so it is great to be able to get a small insight into them, and help out where I can. I am really looking forward to hearing more from both Dan and Eliana on what they find!